Great for 100th day activity! Give students 100 cups, before letting them build have them brainstorm on how to make the tallest structure! This incorporates measuring. 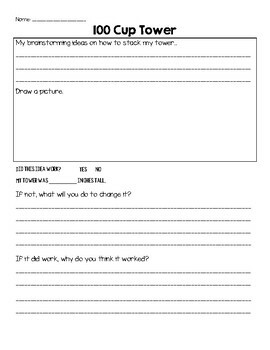 Afterwards have students reflect on their structure.